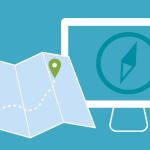 A website’s main navigation is the primary roadmap for a visitor. If the user is not able to understand the map, he will be less likely to reach his destination. When creating main menus, store owners tend to think about navigation from their own perspective. Most visitors are not as familiar with the products as the person who owns the site, so they might need different guidance to navigate. Here are some examples of common mistakes people make when creating navigation menus and why you should avoid them. Although it seems like a good idea to keep every product within a click, the main menu is not the appropriate place for all the links. Too many links makes it harder for visitors to scan through and find the information they are looking for. Besides, users aren’t worried about the number of times they click, as long as every time they navigate somewhere, they understand the context and end up finding what they are expecting. Our brains can quickly scan and process up to 8 items at a time, that is why it is considered a good practice to keep between 6 and 8 items on the main menu navigation. You should always make the current menu item highlighted in some way. Indications like breadcrumbs and consistent page titles are good for users to identify where they are and whether they have reached their destination. If they are not quite at their destination yet, having the current menu item highlighted will make it easier for them to continue their path. Having a mobile-friendly website means that the navigation menus are finger-friendly too. Make sure your menu items are big and spaced out enough to create a better experience on touch screens. Don’t get us wrong, we are all for creating a strong brand identity and interesting voice, however the main menu labels are not the place to showcase this kind of creativity. Changing things like “Contact” to “Let’s chat” just adds one more level of thought process to a visitor’s path. Try to avoid acronyms and jargon as well, for some users might not understand them. Remember the main menu is a map for the users, so always be clear. Finally, we must reiterate that the user should be at the top of your priorities when designing the main menu. 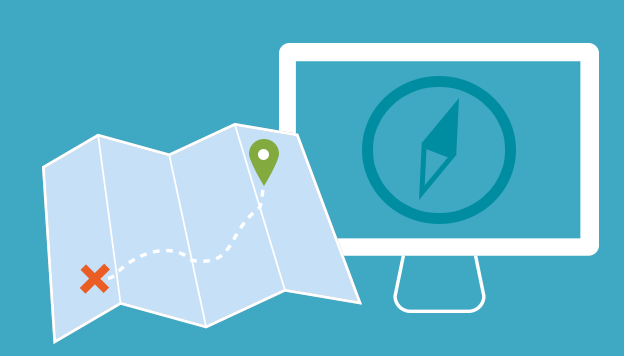 One great way to check if your navigation is optimized for your users is watching someone navigate through your site. If you have the chance, ask people who are less familiar with your store and would be likely to buy from your site to perform specific tasks on your website and see how fast they get around. This will most likely provide some valuable feedback on your menu’s efficiency.